Kyoto, the ancient former capital of Japan, breathes history and mystery. Its temples, gardens and palaces are testimony to many centuries of aristocratic and religious grandeur. Under the veneer of modernity, the city remains filled with countless reminders of a proud past.John Dougill explores this most venerable of Japanese cities, revealing the spirit of place and the individuals that have shaped its often dramatic history. Courtiers and courtesans, poets and priests, samurai and geisha people the pages of his account. Covering twelve centuries in all, the book not only provides a historical overview but brings to life the cultural magnificence of the city of “Purple Hills and Crystal Streams”. CITY OF POWER: The seat of aristocrats and warriors; military might and spiritual authority; unification and the transition to modernity. CITY OF RITUAL: Buddhist sects and Shinto festivals; tea ceremony; the role of the geisha; the influence of Zen. CITY OF ARTS: Poetry and fiction; architecture and garden design; Heian verse and Noh theatre; art and handicrafts; the Japanese Hollywood. 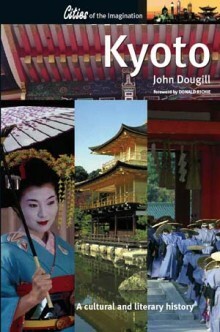 JOHN DOUGILL is a professor at Ryukoku University, Kyoto, and the author of Oxford in English Literature (University of Michigan Press, 1998).